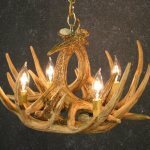 An antler chandelier might be one of those items you’d expect to see at a hunting lodge or resort, but it can work in your home as well. 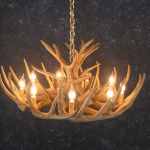 It can spice up the look of a room, make an intriguing talking point, or just add a little brightness when installed properly. 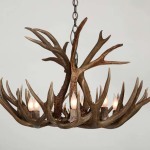 Here are some things to consider if you’re thinking about antler chandeliers. 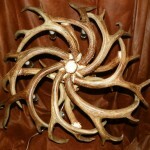 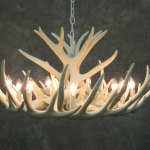 Do You Want Real or Fake Antler Chandeliers? 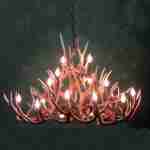 You can get chandeliers made of real or artificial antlers. 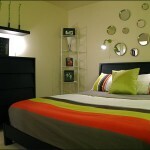 This all depends on your personal preferences. 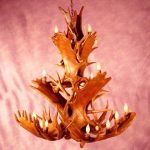 Both stand up well to the tests of time, but artificial ones tend to discolor differently over time when compared to real ones. 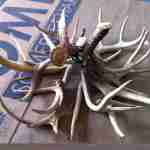 The upside is that no animals were harmed in the making of the simulated version. 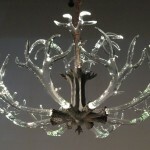 How Big Does Your Chandelier Need To Be? 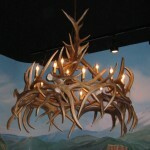 These chandeliers tend to be rather massive when they are made from antlers. 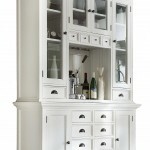 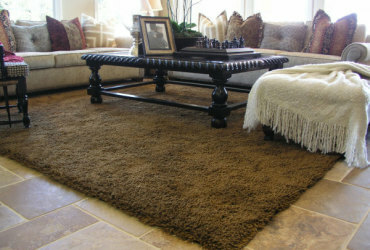 You’ll need to measure out the width and depth of your space to make sure you know what options are available to you. 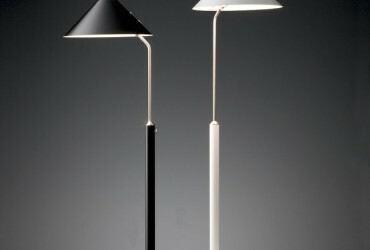 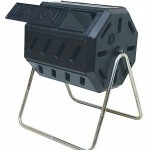 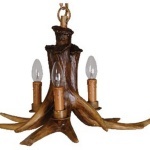 A lamp or other fixture may be more appropriate for smaller rooms. 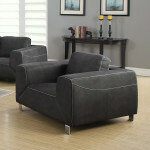 Does There Need To Be a Specific Shape? 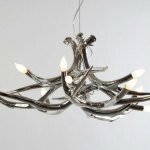 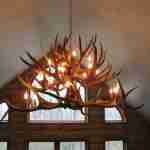 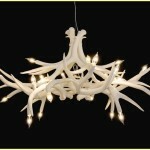 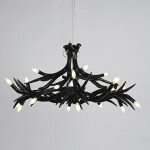 Chandeliers that are made from antlers tend to be limited in shapes if you want a full natural look. 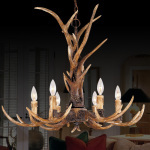 If you don’t mind trimming down the points or adjusting the antlers in other ways, however, a customized look of any shape, style, and size can generally be achieved. 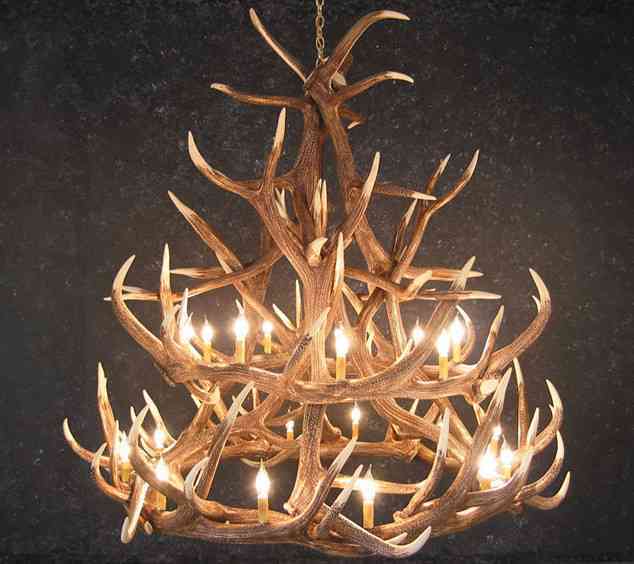 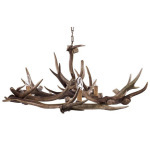 An antler chandelier provides a rustic, rural feeling to a home like no other type of chandelier can provide. 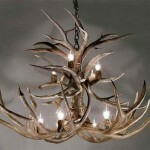 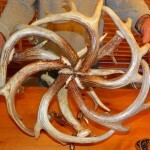 Think about these questions as you’re thinking about antler chandeliers so that you can make the right decision.